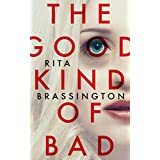 When Rita Brassington contacted me via Twitter and asked if I would like to read her book and review it, I was more than happy to oblige. I was also happy to learn that she is a local girl (originally) and I’m always happy to support our local talent. I’m glad to say I thoroughly enjoyed this book. We meet a lady who seems to have everything most people would wish for. She has success, wealth and is about to marry her handsome, hard-working, reliable fiance, Will. However, she doesn’t want reliable. She doesn’t want a boring life with a boring husband. She craves excitement. So, she leaves him at the alter and hops on a plane to Chicago to start a new life. She decides that from now on she will say yes to everything, so when she meets good looking and mysterious Joe in a bar and he proposes, she says yes. What’s the worst that can happen? She has her secrets, but who doesn’t? However, Joe’s just might be more than she bargained for. What follows is a fast paced, roller-coaster of a story where you’re not always quite sure what’s really happening. The twists and turns certainly keep you guessing. I thought I had it sussed a few times, but I was wrong! The characters are fascinating. Although I’m still not sure if I like the main character or not, I still found myself caring about what happened to her. As for the others, it just goes to show that not everyone you meet is as they seem. Full of action and suspense (also a little bit comical in places). I would happily recommend it. Many thanks again to Rita for my review copy. She spent her whole life being the perfect daughter, the perfect girlfriend, and was all ready to become the perfect wife. But after ditching her fiancé at the altar and escaping to Chicago, she marries smouldering stranger Joe Petrozzi three weeks after meeting him in a bar. At least this time, there’s no chance of cold feet. Rita Brassington grew up in Staffordshire, UK, before studying at UCLan, Durham University and the Maastricht Centre for Transatlantic Studies, The Netherlands. She currently lives in Manchester where she enjoys photography and, of course, writing when her cats, and fiance, let her. She also loves cocktails, and cake. Preferably together. I have a copy of this to read too – good to read your positive review! Thanks, I hope you enjoy it too Joanne. I’ll look forward to your review.